November 28, 2017 / Family Ski Trips / Comments Off on Vail’s plans for Stowe Vermont? Epic or Not? For years I had been hoping Vail Resorts would round out their portfolio with an Eastern ski resort. Wish granted, but like all wishes – its not exactly as you’d dreamed or anticipated. 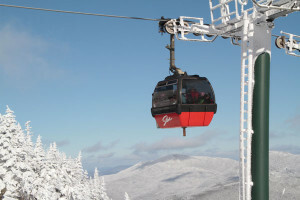 I was hoping Vail would come in with capital infusion for a New England ski resort in need- say Saddleback that has been closed for two ski seasons, or maybe Jay Peak and Burke Mountain now in receivership after last season’s EB5 ponzi scheme and scandal. But no – Vail goes for Stowe… my favorite ski resort in the East. I must say Vail Resorts has excellent taste! 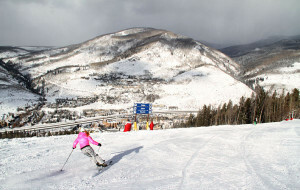 Then in May of 2018, Vail buys Okemo and Mount Sunapee and Crested Butte in Colorado- part of Triple Peaks. 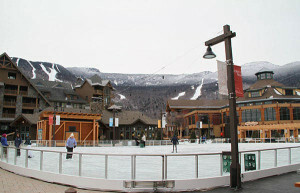 The $50 million price tag for Stowe is for the Mountain Ski operation, so ownership of the luxe Stowe Mountain Lodge, the Stowe Mountain Club, and the Stowe Golf Club remain with AIG. That makes for an interesting, perhaps complicated, equation. After all Vail Resorts loves its real estate and lodging revenue, right? They also own RockResorts – a posh collection of hotels, spas and resorts from Colorado to the Caribbean. Back to Stowe. Vail now includes Stowe in its Epic Pass. Consider that a day ticket at Stowe is over $120, and an Epic Pass unlimited for next season is just over $800. Doesn’t take a math wiz to calculate the savings in 7 days, with bonus access to 19 ski resorts to boot! Vail Resorts Epic Pass is unlimited, no blackout dates for Stowe for their Epic Pass. Currently the Epic Pass is an outrageous deal, with skiing privileges at 19 major ski resorts Vail, Beaver Creek, Breckenridge, Keystone, Crested Butte, Park City, Heavenly, Northstar, Kirkwood, and Arapahoe Basin, Whistler Blackcomb, Stowe, Okemo, Sunapee, Stevens Pass, and Perisher Australia, plus four small regional ski areas. The Epic Pass also gets you some free lift tickets in the Alps, 6 days of skiing in France which I just enjoyed at Les 3 Vallées, Paradiski, and Val D’Isere Tignes, plus 3 days skiing the Dolomites of Italy, and 5 days at Les 4 Vallées of Switzerland which includes Verbier, and 6 days in Austria at Lech Zurs, St Anton and St Christoph (the Austrian ski resort privileges require that you purchase lodging and pre register). 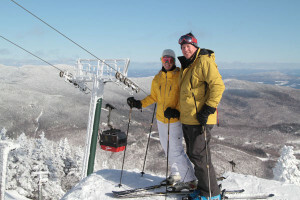 I predict lodging rates going up in Stowe – now that it is a Vail destination. And Stowe is already pretty pricey by New England ski standards. I hope Vail Resorts will consider buying abutting Smugglers Notch Resort – a wonderful ski reosrt with lots of lodging, great skiing but slow old lifts. Stowe has the RFID lift ticket technology so the Epic Mix vertical tracking app is on– bonus. 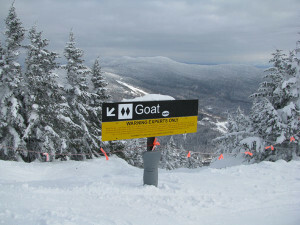 I know you can bag a lot of vert on Stowe’s Front Four – 10 X 10 when the lifts open at 7:30! Hmmm, that might change too… So there are pros and cons with Vail’s Stowe purchase. Now is the time to lock down the best season pass deals for next season. Aspen’s IKON Pass is now a strong competitor … it’s a ski deal show down throw down. A little healthy competition is a good thing, right my ski friends?! Especially with $800 pass for dozens of top ski resorts!